This book explores the interplay between science, economics, politics, and ethics in understanding the challenge that climate change poses to the international community. A central theme is that climate change involves core issues of scientific uncertainty and intergenerational fairness that must be accounted for in the design and implementation of policy responses. Drawing together contributions from leading scholars in a variety of relevant disciplines, this volume provides a synthetic approach to this important topic that should prove valuable to a variety of readers. This series focuses on the interface between geosystems, biosystems, and the political economy. 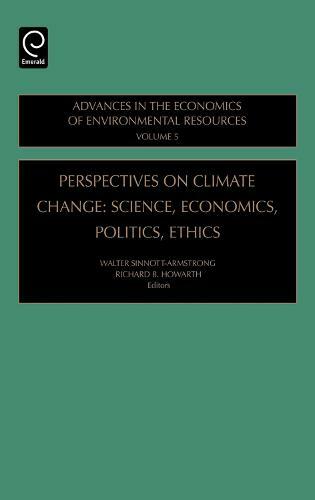 The volumes integrate physical, natural, and social sciences with economics. It encompasses the atomistic and mechanistic epistemology of modern economic analysis.